The Bassdash Flies Kits are prepackaged fly fishing lure combos that make selecting the right flies for getting started in a snap - eliminating the guesswork that can be so intimidating to a new fly angler. While the experienced angler will find plenty of value in these packs they are primarily geared at giving the newbie a hand up into the sport. All the hard work has been done for you. The flies have been selected, categorized and placed in packs that are well defined and easy to understand. The quality and durability is unquestionable and each fly provides a learning opportunity, a chance to discover the complex world of selecting and using flies. Dry Flies: it's designed to be buoyant, or land softly on the surface of the water. It typically represent the adult form of an aquatic or terrestrial insect, perfect for freshwater. Wet Flies: it's designed to sink below the surface of the water. 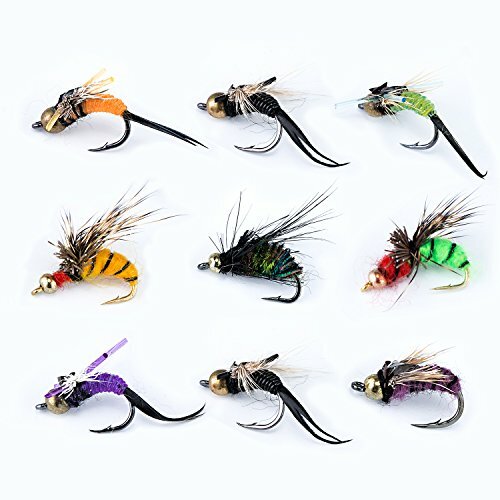 Wet flies have been tied in a wide variety of patterns to represent larvae, nymphs, pupa, drowned insects, baitfish and other underwater prey, perfect for freshwater. Nymphs: it's designed to resemble the immature form of aquatic insects and small crustaceans, perfect for freshwater. Emerger: Designed to resemble the not quite mature hatching aquatic insect as it leaving the water to become an adult insect, perfect for trout freshwater. Streamers: it's designed to resemble some form of baitfish or other large aquatic prey. Streamers may be patterned after both freshwater and saltwater prey species. 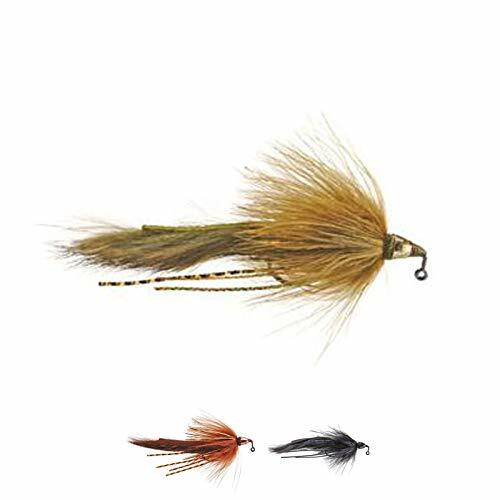 They are a very large and diverse category of flies as streamers are effective for almost any type of gamefish. Anglers can never have too many flies. 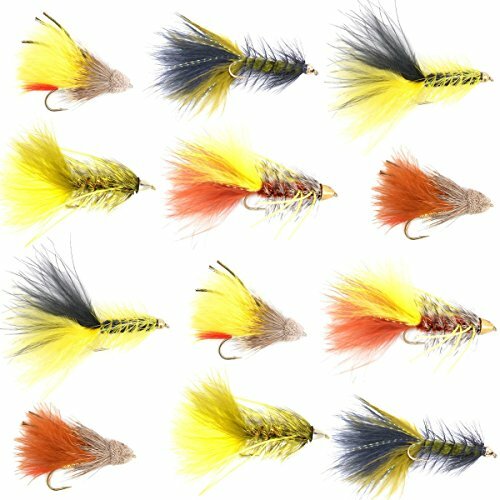 FISHINGSIR large selection of flies includes trusted patterns (such as Adams, Woolly Bugger, Elk Hair Caddis, Griffith's Gnat, Stimulator, Egg Fly, etc.) used by anglers around the world. Choose from Dry Flies, Wet Flies, Nymphs, Streamers, Steelhead Flies, Saltwater Flies and some others. Created by fly-fishing professionals and 100% handmade produced, these flies are exactly what you need to bring large trout, picky and high-pressured fish to surface. Our flies come in a variety of colors and sizes, so you can match the hatch at any time. 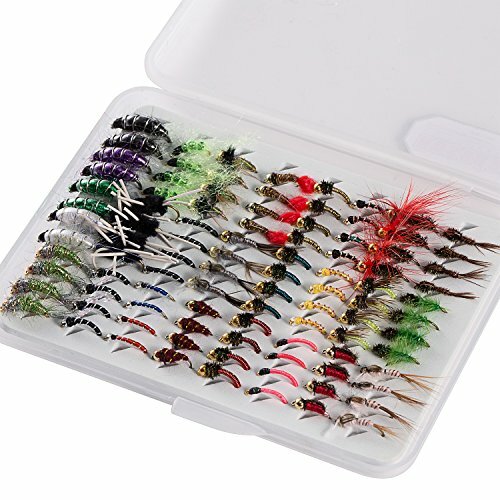 FISHINGSIR offer 3 different types of flies sets: 64PCS/Box, 100PCS/Box and 120PCS/Box. All sets come with tough ABS plastic made fly box with amazing silicone seal to keep your flies dry and nice. Box size: 13.6*8.6*3.6cm(5.35*3.39*1.42inch), it is pocket-design, easy for carrying. No matter where your fly fishing adventures take you, we have the flies you need. Please see pictures on detailed fly patterns and sizes included in our 3 different sets. Really sure that these fly patterns selected are the most effective and must have in every anglers' fly box. Also, great gift to any beginner or addictive anglers. 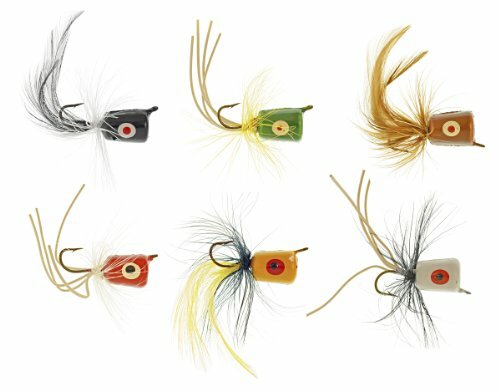 Fly lures size covers from #6 to # 16. 100% satisfaction service! Contact us on Piscifun Website if you have any problems with the Piscifun products. 1. 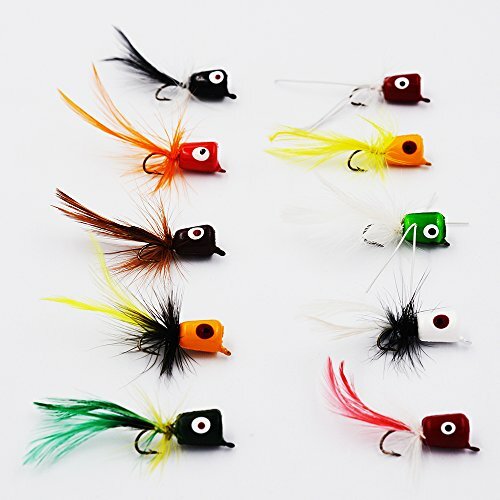 Driftboat anglers, flats fishers fly fishing in flowing water , and deep-waders will appreciate these flies! 2. Wide variety of colors and hooks allows the option of fishing in various conditions. 3. Whether you're a beginning fly angler or an old hand, these classics remain the top patterns to have with any angler's fly tackle bag. Trade up, catch more fish! 4. 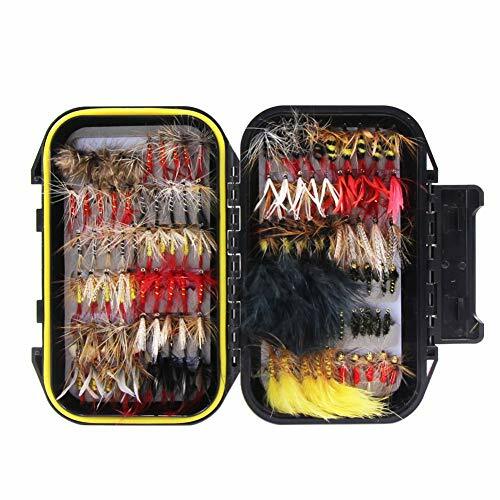 Piscifun Classic Trout Fly Fishing Dry/Wet Flies Assortment is the most concise and complete trout fly lineup ever assembled, each pattern selected based on top guides' professional insight. In their eyes, these are universal top producing patterns! 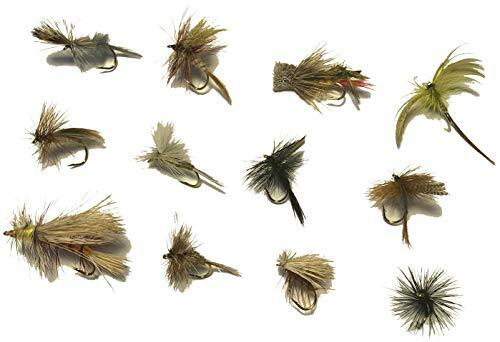 With this Piscifun assortment, the fly gods are sure to look favorably upon you. Croch Provides 100% satisfaction service! Feel Free to Contact us if you have any problems with the Croch products. 1. Small Light Weight Flies that will sure draw the attention of the fish. 3. 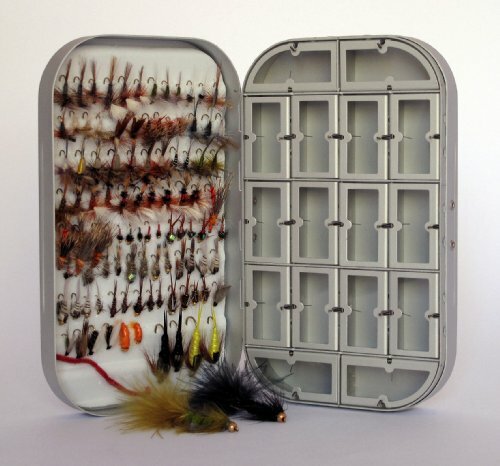 Medium 100% Waterproof Fly Box, allows you to effectively hold a hundred of different size flies. 4. Whether you're a beginning fly angler or an old hand, these classics remain the top patterns to have with any angler's fly tackle bag. Trade up, catch more fish! --21 different styles, 5 different files, 6 different hook sizes---#6 #8 #10 #12 #14 #16. Dimension: approx. 5.11"(length) * 3.5" (width) *1.57" (height) inches. Double ABS side, more sturdy. Waterproof rubber seal to 100% protect all your dry flies. PERFECT SIZE FOR WHAT YOU NEED--Most popular and productive flies are chosen by the manufacturer to make up the excellent flies kit. The South Bend Assorted Poppers feature our most popular poppers. Great for Bass and Panfish. 6 per package. Brand: Barnsley Fly Co. | Manufacturer: Barnsley Fly Co.
Muddler Minnows are one of the all-time essential flies - don't hit the water without some! 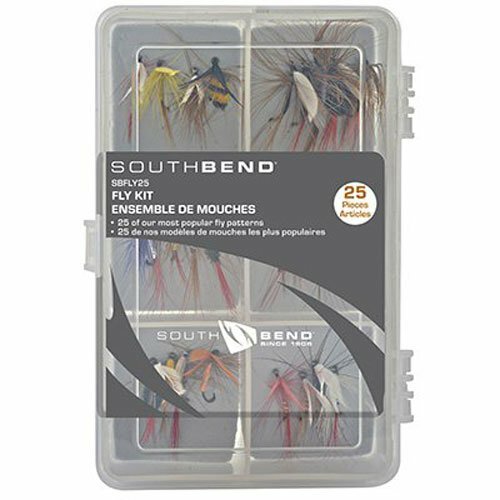 The South Bend Fly Kit features our most popular fly patterns in a reusable fly box. Great for trout fishing along with other species fish. Heddon Super Spook, Jr. 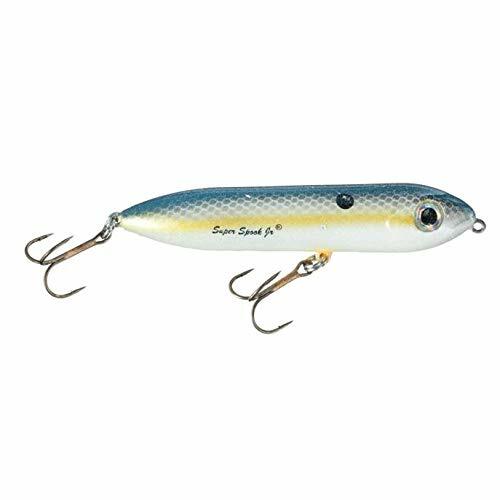 Lure, 3-1/2"
The Heddon Super Spook Jr. comes with all the same explosive, fish-catching features as the full-size Super Spook, but in a smaller, more-compact design. Durable construction and super-stout hardware, from line ties to hooks, are designed to stand up to opportunistic charges from schooling fish. An effective topwater lure with great action and movement, it can be fished with a rhythmic, slack-line retrieve to make it "walk" from left to right and back and forth, or it can be pulled in fast to produce lots of surface vibrations. #4 saltwater treble hooks. 1. If you have any questions, please feel free to ask, we will promise to reply you within 24 hours 2. If you are satisfied with our products, please don't forget to leave a Feedback, we will appreciate your encourage. 3. If you get into any problem, just contact us and we will try the best to resolve the problem till you satisfy. 4. We are always here for you, and thanks for coming to my store and enjoy your shopping! 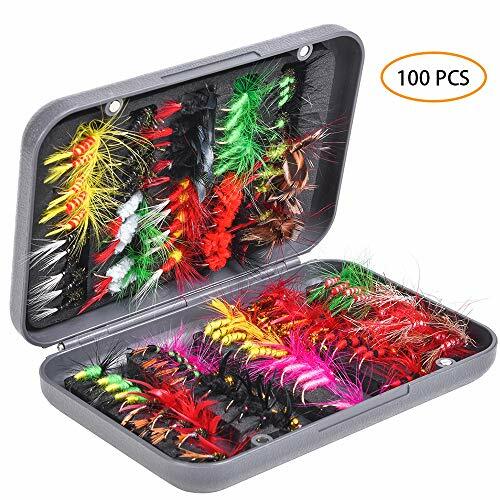 Multi Sizes Cover What You Needs This Dry Flies Set Contains 100 pcs Flies In 5 Different Sizes From 13mm to 20mm, So That You Will Have The Conditions to Fish Fishes You Want. 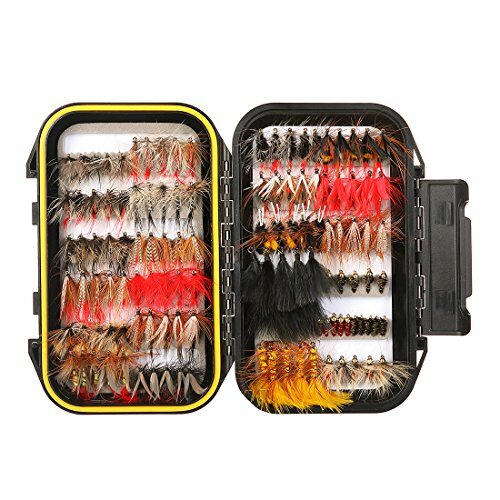 Variety of Colors and Hooks 20 varieties of fly Pattern to Provide You Wide Range of Use, Which Allows the Option of Fishing in Various Conditions. Organize Case A Reusable Organize Case Makes Organizing Much Easier, Which Allows You to Effectively Hold a Hundred of Different Size Flies in One Hand. Made with High-quality Floatable Light and Extra-Flexible Material Making These Flies Lures Super Sturdy and Long Lasting. 100% SATISFACTION GUARANTEE See Why Thousands Of Professional Fishrmen Love and Trust It ,Try It With Risk Free, We Know You'll Love It, too!. Excellent quality #10 dry trout fishing flies, tested for success and durability. The white 79580 fly hook combination consists of 7 models of 450pcs, which can be adapted to different places. The hooks are made by chemical methods and are sharper. The hooks have long shank, consistent curvature and clearance, which can create a perfect proportion of flies and the like. Flying insects. The material is high carbon steel, not easy to corrode and durable. 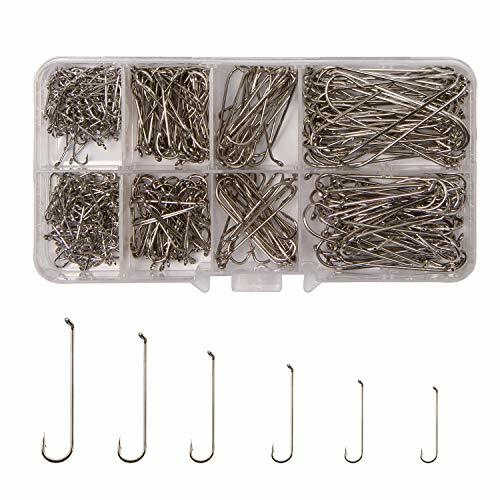 Each box of the box is independent, ensuring that your different types of hooks are not confused.